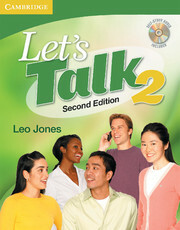 Let's Talk 2, Second Edition, is for students at the intermediate level. Features of the Student's Book include more systematic presentation and recycling of structures and vocabulary, an increased focus on communication activities, and new Expansion review sections after every four units. The expanded self-study section now includes grammar, listening, and vocabulary practice, offering students additional opportunities to review and consolidate the material. The grammar paradigms and listening text are included on the Self-Study Audio CD packaged with the Student's Book. 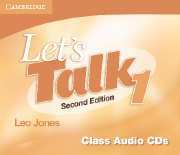 Let's Talk Second Edition is a fully revised edition of Let's Talk, the successful three-level speaking and listening course that takes students from a high-beginning to a high-intermediate level.